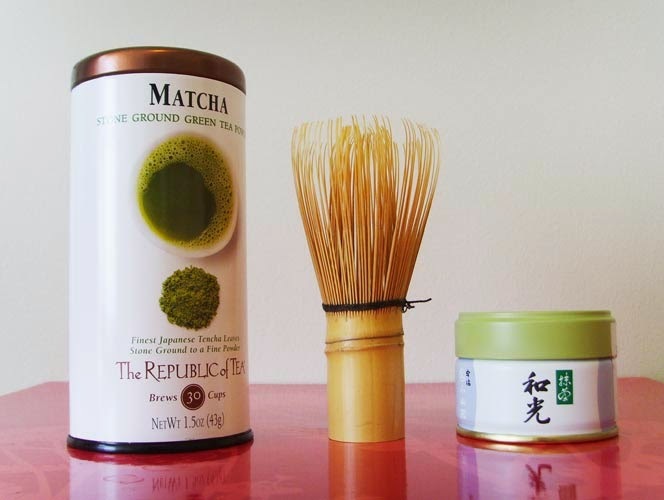 I’m happy to announce that my current matcha tea collection can only be described as legit. Some of my jet-setting friends brought back matcha tea straight from Japan, so mama is feeling quite fancy. 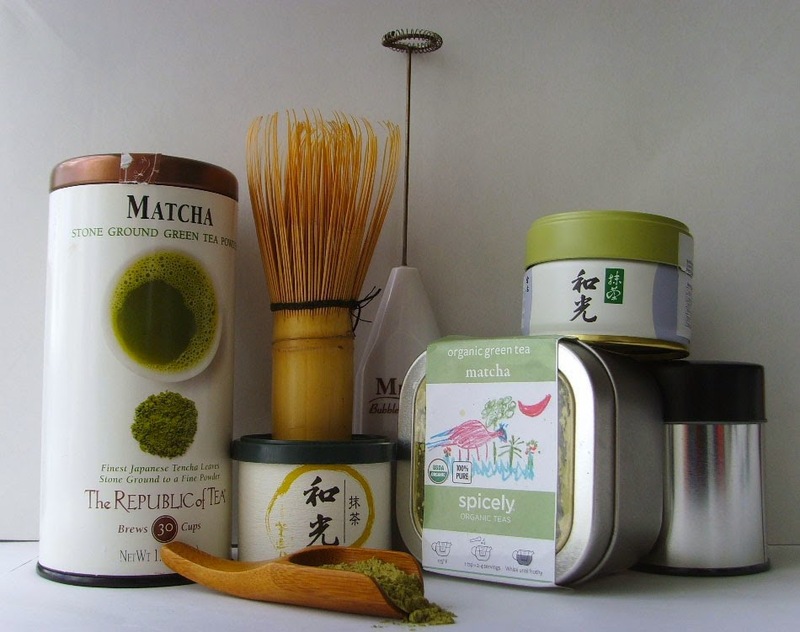 And if you are not able to get free tea from your fabulous, gift-giving, world-traveling friends, then I recommend Spicely’s organic green tea matcha. This stuff is very tasty, blends well, and is a great value. I promise I’m not a spokeswoman for their company, but I have tried some expensive types and also wasted money on other lower quality matcha and I can say that Spicely wins on so many levels. OK, now check out my bamboo whisk. If that little beauty doesn’t get me some street cred, then I don’t know what will. And for those days that I’m feeling extra lazy (meaning everyday), I bought a super cheap frother that knows how to whip my matcha powder into shape. 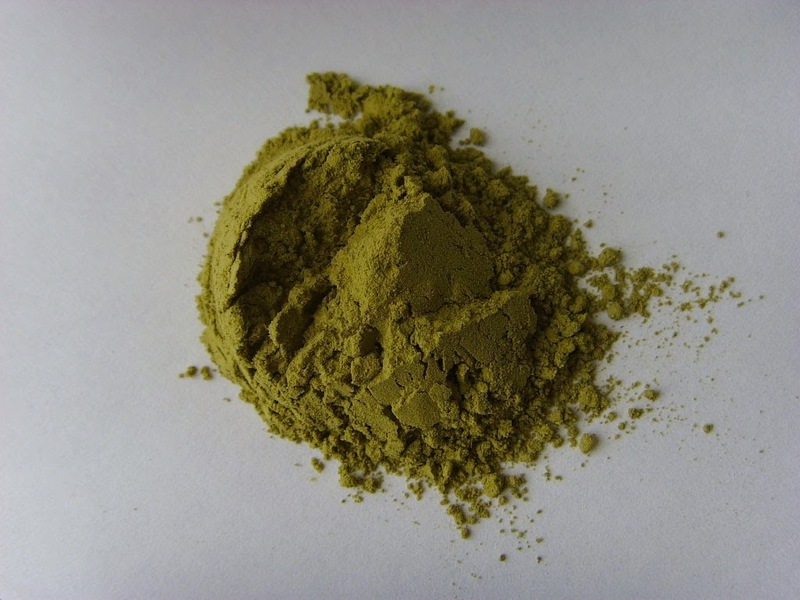 And now that I have all the goods I can make my own matcha lattes instead of buying them for $4 a pop. Hallelujah and amen.